Join Reiki Master and Healing Artist Dane Osorio for a weekly one hour journey of unwinding stresses and heaviness and aligning with peace calmness and good vibes. Starting weekly, Thursday April 4th, 8pm-9pm at Elemental Wellness Studio In Vaughan @floatvaughan. 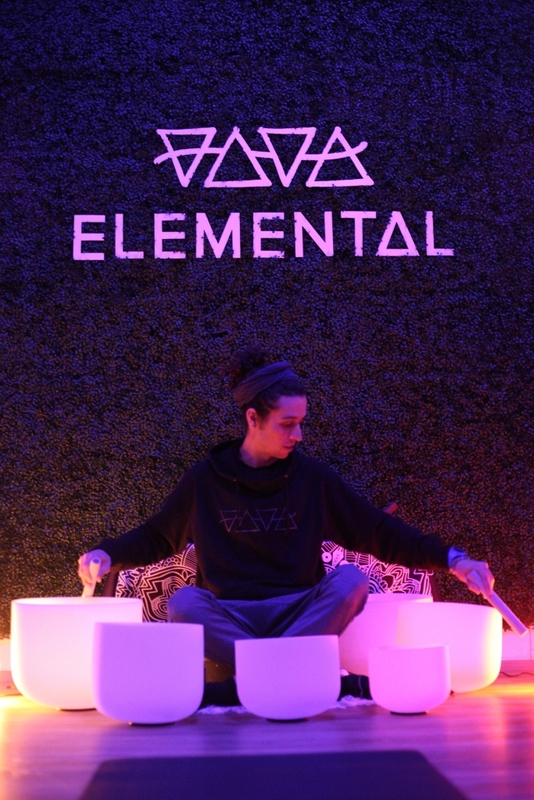 Soul Brother Dane Invites you into a safe space to let go, and recharge yourself with good vibes. Journey through movement, Sound Healing and Meditation. 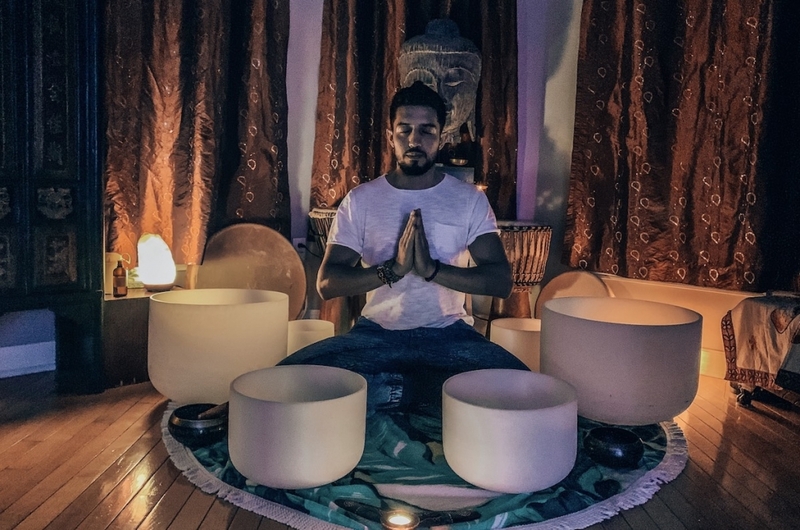 Allow yourself to move energy that doesn’t serve you, relax and receive healing sounds of his Crystal Quartz Singing bowls that will leave you floating after class on a higher vibration. Every cell in your body is vibrating. And whether you can hear it or not all vibration produces sound. YOU are a symphony of majestic proportions! But like any musical instrument we may fall out of tune which can gives us feelings of sadness, anger, frustration and anxiety. but becoming a better musician does not put your instrument in tune. You could be playing a beautiful melody but without all the working parts being properly attended to things may feel ‘off’. Tuning yourself is the delicate art of listening without judgement and adjusting without shame. This can’t take place in a state of tension or expectation, it can’t be forced. With sound therapy and the healing powers of crystal singing bowls this process takes place like the wind plucking ripe apples from the tree, a natural process. The beauty of these bowls is that they will help your body fall into a state a deep relaxation, where all healing takes place. Join us every Monday at 6:30pm and allow the healing waves realign your being! A Journey Through Your Chakras. A 7 class healing meditation workshop series through your Chakras with Reiki Master and Healing Artist Dane Osorio. 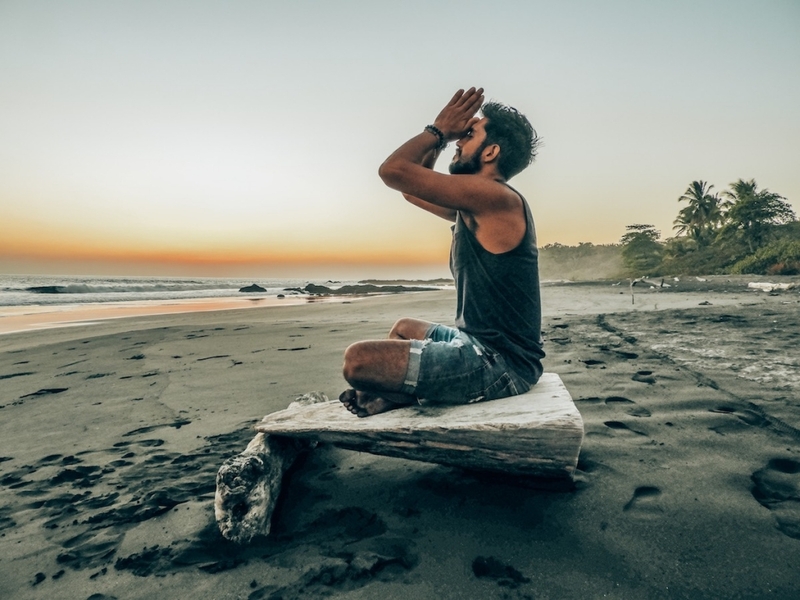 Join Soul Brother Dane as he guides you through a Reiki infused and Sound activated guided meditation to help clear, energize, heal and balance your chakras. Weekly series, Thursday Evenings, 6:30pm – 7:30pm at Elemental Wellness Studio In Vaughan @floatvaughan. Starting from the Root Chakra on week one, Dane will work on one Chakra per class working his way up to the next Chakra each following week. Commit for the 7 classes or drop in for a Chakra when you can! We are often dealing with some sort of blockage or misalignment. Soul Brother Dane opens space for you to connect deeper within yourself to help you to activate your chakras, clear, heal, balance and raise your vibration. Whether you have taken The 7 Chakras Guided Meditation course or not, this workshop series of is open for anyone wanting to meditate and connect deeper with a particular Chakra each given week. Note: Drop ins welcomed space permitting, at the workshop drop in price of $40 non members and $35 for members. The full 7 class series is highly recommended and guarantees you a spot for all 7 classes.